We can change so much in our lives by changing how we think, but much of our dysfunctional thinking comes from broken places in our life. Learn in this training series where thoughts come from and how we can gain freedom in our hearts. Know who God is as a Father. Experience His love in a personal way. Remove the hinderances and live powerfully from who you are. Healing our ability to receive nurture, the love that brings us comfort when we need it most. Healing mother wounds, restoring emotional stability and bringing us to peace. Breakthrough the influence of anxiety, worry and fear based living. God Loves Me and I Love Myself! Making the radical change to love and accept yourself the way God loves you! Living the Bitter Free Life! Learn to get free from toxic relationships, overcome anger battles and live free from past pain. Move from disempowering thinking into empowered thinking and living! Learn to heal from spiritually abusive environments with practical insights while also gaining tools for freedom. Reboot into a fresh start with a brand new strategy for breakthrough. 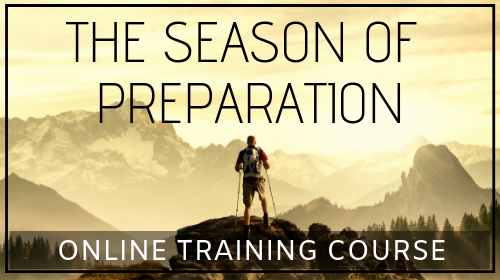 Step by step strategy for a powerful new season. Should a Christian seek to be happy? What does that even look like? Breaking through intimidation, manipulation and control in relationships. Empowering the in-between stage of your journey.